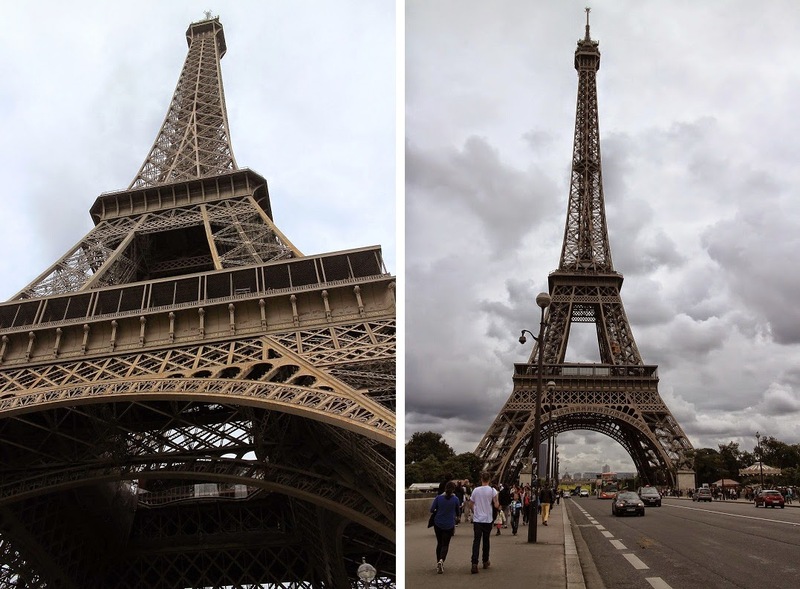 While we were checking out the Eiffel Tower on our second full day there.. I had to capture the beauty of the landmark itself and take some outfit photos. As you can see it had rained overnight so the ground (and somewhat grass) was wet and small puddles had formed. But funny enough the rest of the day became really sunny and hot! Have you visited Paris yet? As I had mentioned in my prior post, the Hubs and I had decided to celebrate our 3rd year wedding anniversary by taking a Eurotrip. First stop was Paris, France! It took us about two months to plan everything which didn't seem like a lot of time but good enough for it being our first time. Paris was exactly how I had imagined it and more! It was amazing with all the food, sights, and people. I absolutely loved every bit of the city and can't wait to share with you guys part of our trip there! I will post another photo diary later as there were too many photos to shuffle through. Stay tuned for Paris [Part Deux]! To learn more about Alaffia, you can check out their Facebook and Twitter. What do you think of Alaffia? Disclaimer: Alaffia did send me the complimentary products so I can review.